Grand Theft Auto: The Ballad of Gay Tony hits the Xbox 360 as a download on Oct. 29, Rockstar announced today. 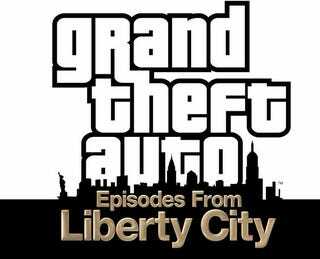 The latest chunk of episodic content will also arrive on a disc along with previous DLC episode The Lost and Damned as Grand Theft Auto: Episodes From Liberty City. Episodes is also set for an Oct. 29 release date. Rockstar tells Kotaku that disc-based Episodes will sell for $39.99. Grand Theft Auto: The Ballad of Gay Tony as the game's second downloadable episode will focus on the glitzy "high-end night life" of Liberty City. The second Xbox 360 exclusive episode will put players in the role of Luis Lopez, confirming previous rumors, as his part-time hoodlum duties are supplemented by full-time work for nightclub impresario Tony "Gay Tony" Prince. According to the official announcement, "players will struggle with the competing loyalties of family and friends, and with the uncertainty about who is real and who is fake in a world in which everyone has a price." Grand Theft Auto: The Ballad of Gay Tony is slated to release on Xbox Live this Fall for $19.99 USD or 1600 Microsoft Points.